2014 Honda CB 1100. Picture credits - Honda. Submit more pictures. The CB1100 is the motorcycle at its most elemental. A steel double cradle frame houses the 1,140cc inline four-cylinder engine, with 41mm conventional telescopic forks and twin rear shocks providing compliant and finely tuned suspension. The riding position is upright and relaxed, a perfect platform from which to watch the world slide by. 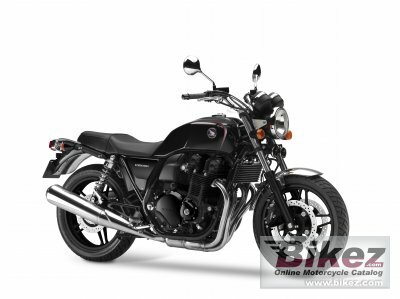 Ask questions Join the 14 Honda CB 1100 discussion group or the general Honda discussion group.